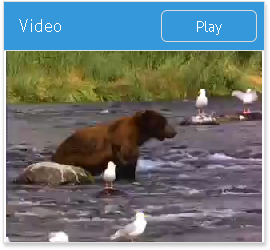 Webix video is a UI component designed for embedding video files into the application. It is based on HTML5 video tag to provide support for most popular video formats: MP4, WebM and Ogg. The component inherits from Webix view and is initialized with the help of the webix.ui() constructor. Video source defined by the src property can be either a single video file or an array of several ones. In case of multiple src browsers will use the first supported format, which ensures that your video will be recognized regardless of the client side browser. autoplay property can be used to start playing the video right after the component initialization. Default value is false. paused - read-only property that stores video state. 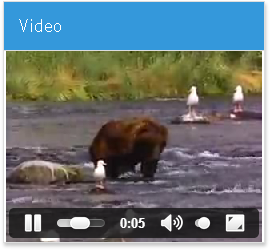 To get the object of video DOM element, use the getVideo() method of Webix video component. Alongside with playing and pausing the video, we change button text value with its setValue to correspond video state.